Inventory accounting, especially for large warehouses, is a complicated and troublesome task. Inaccurate inventory is usually caused by inefficient management systems that don’t contain up-to-date information on stocks and can’t prevent workers from making mistakes. The majority of warehouses still use paper-based management systems. But such an approach is slow, inaccurate and error-prone. Today, there already exists a large number of high-technology systems for optimizing warehouse operations. These systems help workers to perform their tasks more easily and quickly, resulting in the growth of labor quality and productivity. Thus, the investment in implementing new methods of warehouse management instantly pays off. Even now, management of many warehouses is built on the obsolete paper-based systems. It is generally regarded that implementation of an automated storage and retrieval system is a complex, lengthy and expensive process. But let’s see what the price is for businesses, which lack proper warehouse management systems. 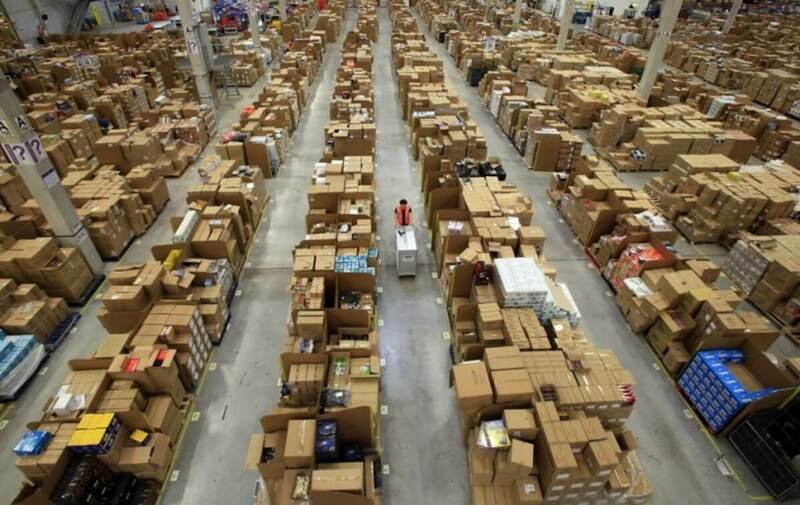 A huge problem of warehousing is incorrectly collected orders. They result in additional working time and money expenses to organize returns and collect the right orders. If customers often receive the wrong orders, after all, it may damage reputation. Why do these human errors happen? It’s because products aren’t labeled or have inappropriate labels. Labeling issues distract workers, slow down their operating speed and lead to increased errors while collecting orders. Disordered pick locations, especially in large warehouses, also cause lower performance. Operators have to spend time not only on the collection of orders but also on a long search of pick locations within the warehouse. Therefore, if you want your warehouse to work efficiently, you need to apply an appropriate management system. There are different ways to optimize warehouse management processes, for example, voice picking, pick-by-light, pick-by-label, radio frequency, and pick-by-vision systems. Currently, radio frequency (RF) picking is extremely popular due to its cost-effective application for both small and large warehouses. RF picking is a paperless way of managing warehouses, which requires a particular radio frequency network within the warehouse facilities. Information about the orders is stored on the host server. Operators receive this information on their local terminals. Usually, pickers wear terminals on their wrists. Inform operators about their orders. Display information about the items and their quantity required to fulfill the order. Scan RFID labels or barcodes to make sure that the operator has selected the proper items. Send information about changes in order fulfillment to the host server. RF picking is a convenient way of collecting orders since the operators do not need to study the papers and record their actions. After the operators have picked the required items, they either scan the codes or manually send confirmations to the host server. Radio frequency picking considerably reduces the number of errors, speeds up the process of collecting orders and makes stock accounting more accurate than paper-based management systems. The main drawback of radio frequency warehouse management is the cost of RFID labels. RFID scanning is not always possible due to radio interference problems caused by the proximity of some equipment, a lot of metal or liquids. Eventually, compared to voice picking, pick-by-light, and pick-by-vision, radio frequency picking is slower, less accurate and efficient. Time is the key to the efficiency of warehouse processes. To ensure that the process of picking orders occurs as quickly as possible, you will need a clear and coherent system of inventory allocation and visibility in the warehouse. It is a challenging task to provide inventory visibility in large storage facilities. In this situation, modern technological solutions, such as pick-by-vision (vision picking) systems based on augmented reality technology, come to the rescue. 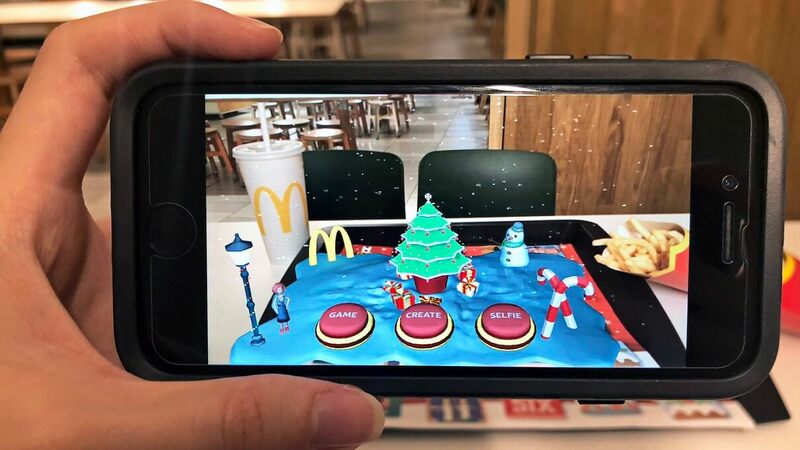 Augmented reality is a technology that augments the real environment overlaying it with the up-to-date digital information on the screen of your mobile device. The augmented reality app captures an image of the environment with the camera in a tablet, smartphone, head-mounted display, or AR smart glasses. The captured image is scanned to identify where to place additional information. The AR software requests for specific content to show to the user. The augmented reality application assembles an integral image of the physical environment and overlaid additional information. It is critical that all scene-processing operations occur as quickly and transparently as possible. 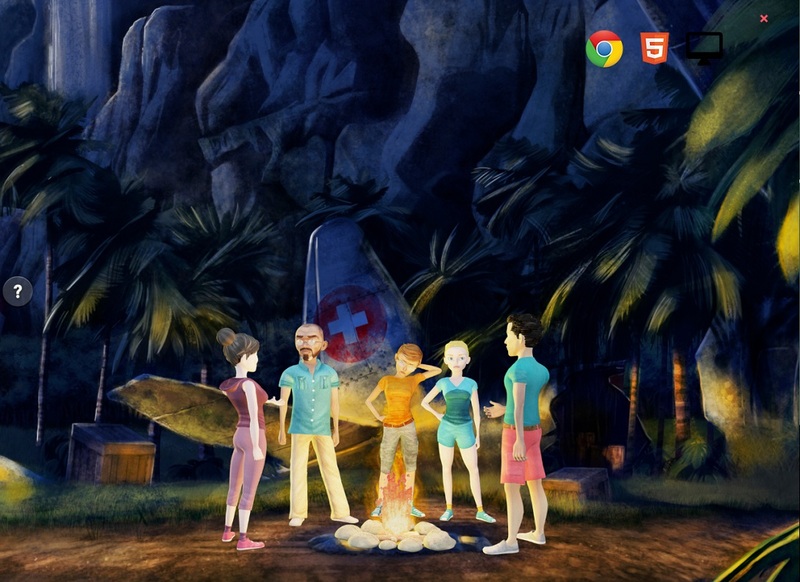 Any time lags may confuse the end user and lead to various errors. Therefore, it is necessary to use high-quality AR hardware and software solutions that provide high performance. Vision picking systems are particularly advantageous because all operations can be performed using only AR smart glasses, without any additional input devices. AR smart glasses are digital glasses, collecting data from internal and external sensors and providing relevant information to the user. 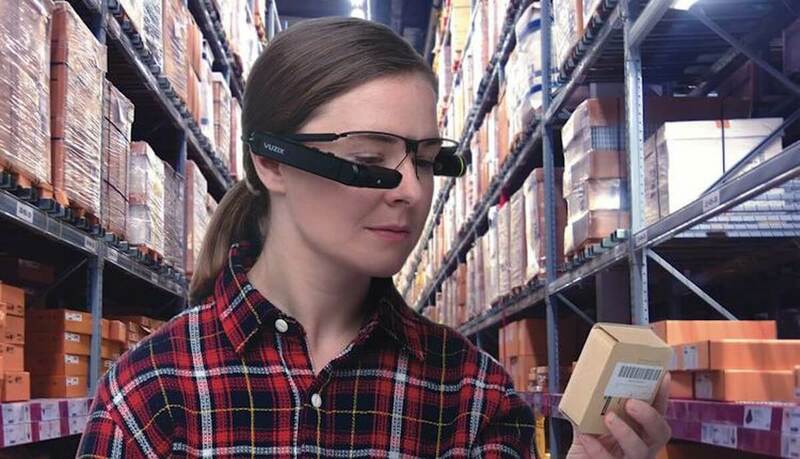 Smart glasses, especially Vuzix M100 and M300, offer remarkably comfortable and user-friendly hands-free solutions for warehousing. To highlight the main advantages of vision picking, we need to know how the process of collecting orders with augmented reality is usually conducted. First of all, users log in to their account to access the list of orders. With AR vision picking system there is no such situation when different operators receive the same order, which is quite possible with a paper-based warehouse management systems. The system selects orders to create the optimal route for each employee. 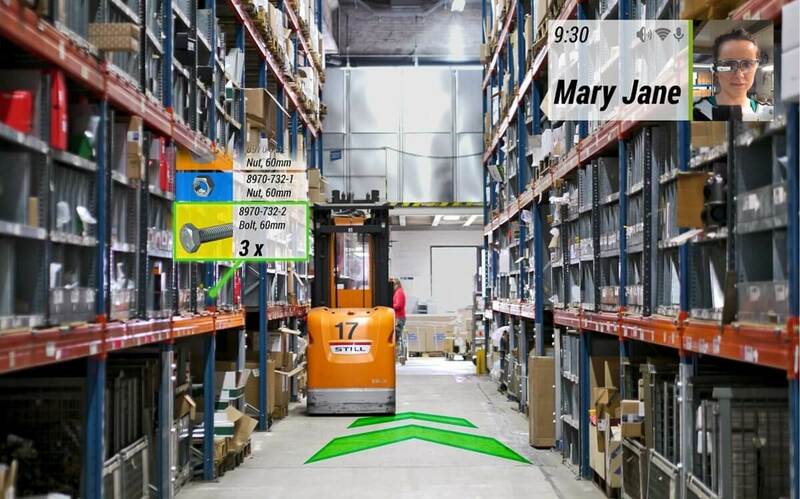 The AR app also builds a personal operator’s route, minimizing the movement within the warehouse. Thus, the collection of orders is much faster. In addition to creating routes, the AR vision picking system shows the operator what zone to move to and indicates the cell with the required item. This unique feature of AR vision picking apps speeds up the process of collecting orders and minimizes the possibility of making a mistake even before the item selection stage. The AR application also gives users tips in the form of images or text so that they can quickly select the required item in the right amount. After the selection of the correct item, the picker confirms this action. And already when the correct object is selected, the program shows which bin it should be put in. The whole process of vision picking is built in such a way that it is almost impossible for the user to make a mistake. At each stage, the operator can confirm actions either by reading barcodes with AR smart glasses or by using a voice confirmation system. At the same time, the operator can continue collecting orders and is not distracted by any actions. The entire process of collecting and confirming orders in the vision picking system is as smooth and intuitive as possible. In addition, the AR system of vision picking is very convenient from the administrators’ point of view. Vision picking system supports the constant relevance of data, allows you to track the location of employees and evaluate the effectiveness of their work. Collecting orders occupy about 60% of all DHL warehousing operations. Therefore, DHL decided to optimize the process of collecting orders with the help of vision picking. In 2014, DHL launched a pilot project of using the augmented reality in the warehouse to collect orders. 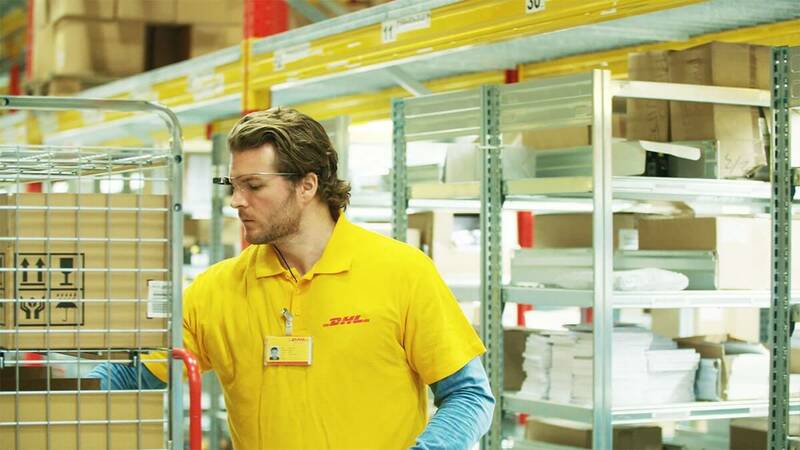 For three weeks, employees of one warehouse in the Netherlands wore AR smart glasses, such as Vuzix and Google Glass. These AR smart glasses show the optimal route for collecting orders, information about the items and their quantity, and also indicate in which bin to put the picked items. The barcode scanning feature of the augmented reality app allows pickers to make sure that they choose the right items. Thus, the operator smoothly and quickly picks the required items. Evaluation of the AR pilot project results showed an increase in the efficiency of the picking process by 25%. The interfaces of the AR applications are intuitive, so users easily understand what to do and almost don’t need training. Thus, the use of augmented reality allowed DHL to reduce the time for employee training by 50%. Such performance proves the effectiveness of AR application in large warehouse management systems. Accordingly, after a pilot testing of this augmented reality platform, DHL has launched a global implementation of AR vision picking technology in their warehouse processes. Maintaining high warehouse productivity to meet the growing needs of customers is an essential task for logistics. 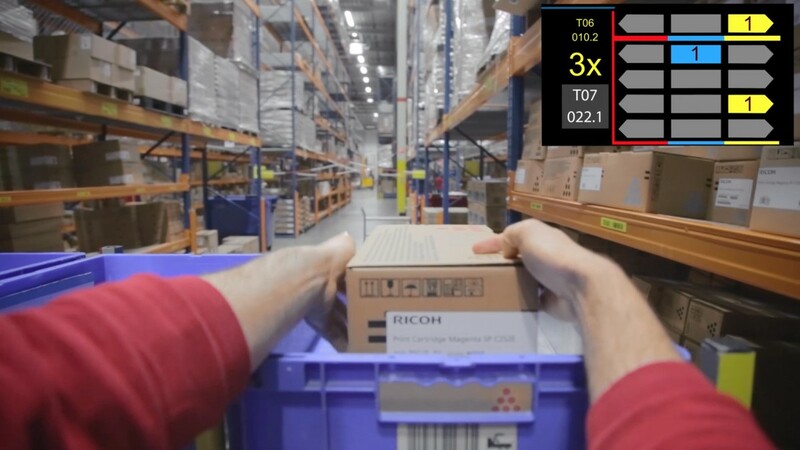 AR vision picking is an innovative way to increase the flexibility of your supply chain, using augmented reality to optimize your warehouse operations. Minimal training and onboarding time required for operators, since interfaces of AR applications are intuitive, user-friendly and require minimum interactions. Vision picking is a hands-free technology that provides maximum convenience for users. AR smart glasses are comfortable to wear and do not obstruct the view of the user. With the help of vision picking technology, it is possible to build optimal operator routes, reducing the time for moving around the warehouse facilities. Fully automatic tracking of items in augmented reality apps maintains the accuracy and relevancy of inventory data. Error-free vision picking improves quality control in your warehouse. With the help of the AR application, you can detect the employee’s location throughout the warehouse and quickly assess the productivity of any employee. The main limitations of the vision picking technology are concerned with the hardware. Speech Recognition. Microphones built-in the AR smart glasses provide satisfactory speech recognition. But the headset with a noise-canceling microphone, located near the user’s mouth, provides higher recognition accuracy. Speech recognition accuracy is critical in real working conditions of the warehouse with a high level of noise. Imperfect noise-canceling and recognition accuracy may lead to errors or inability to recognize the user’s speech. Barcode Scanning. AR smart glasses provide image-based barcode reading with the built-in camera. Image-based scanning is slower and less accurate than traditional barcode scanning. Thus, modern AR smart glasses applications use external barcode scanners to speed up processing. Battery life. Intensive use of AR smart glasses quickly drains the battery. One battery charge is not enough for the full shift. Therefore, some manufacturers of AR smart glasses give the opportunity to connect them to external battery packs or replace a battery. Of course, these measures are not convenient. 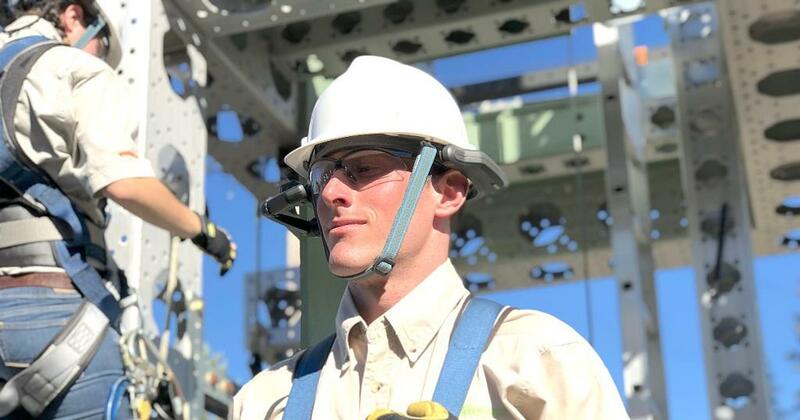 Therefore, manufacturers are looking for ways to reduce the energy consumption of smart glasses and equip them with more powerful batteries to extend the working time on one charge. Today, the use of augmented reality in many industries, including logistics, gives tangible benefits. But before AR devices will be widely used in warehouses, it is needed to overcome some problems, including high investment costs, time of autonomous work of AR glasses, the accuracy of barcode scanning and speech recognition. The next step in the development of solutions for warehouse management will be an improvement in reading barcodes. Due to these improvements, it will be possible to completely reject the external scanners and ensure that smart glasses provide the same speed and accuracy level as the traditional barcode scanners. According to the experts’ forecasts, in a few years, the accuracy and speed of data processing will improve. It will make working with augmented reality technologies even more smooth and natural for users. It is also possible that after a while the augmented reality systems will be able to reject voice functions and barcode reading thanks to the highest accuracy of visual images recognition. AR systems will enable full visual recognition, providing automated task confirmation. In a literal sense, it will be enough to take just one look to recognize the required object and confirm the user’s actions. Augmented reality is one of the technologies that can bring global changes in the logistics industry. From an industrial perspective, companies like DHL, Samsung, and General Electric have started developing AR warehouse management solutions. Their goal is to enable fast, effective, error-free and user-friendly picking process. Despite some limitations, with the development of new technologies and the improvement of existing ones, AR pick-by-vision systems could soon replace cheaper alternatives such as radio frequency picking. If you see a perspective of an AR vision picking an application, our augmented reality developers will create an application tailored to your business. You can choose a basic set of functions, or vice versa, develop a more sophisticated augmented reality system, taking into account the maximum number of factors. Everything depends on your business needs. The main thing is not to get involved in technology for the sake of technology, but to use it to improve your warehouse operational processes. We are willing to provide you with the consultation and help in augmented reality app development, which will ensure the maximum efficiency of your warehouse.